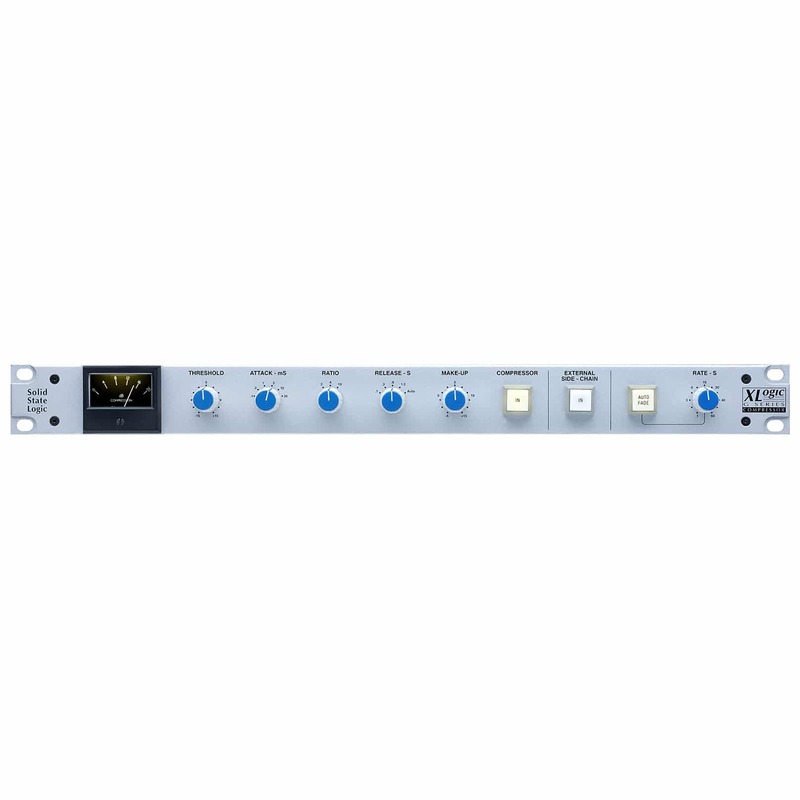 This is the iU rack mounting version of the SSL G Series console master bus compressor. It utilises the classic SSL G Series centre compressor design elements within a SuperAnalogue design topology. This brings the dual benefits of spectacular audio performance with a universally acclaimed compressor characteristic. The ability to ‘patch’ into the SL 4000’s centre compressor, and also control its sidechain from an internal sub-mix, allowed engineers to discover the amazing unique qualities of this compressor for use on instruments like piano and drums, as well as its classic mix finalising capabilities. This versatility created the demand for a rack mount equivalent and a legendary piece of outboard gear was born. The XLogic G Series Compressor is the latest version of the compressor and it uses the same classic twin VCA design as its console counterpart. Combined with improved input and output circuitry, this new unit provides improved audio performance, while retaining the dynamics characteristics that have provided numerous hit mixes for the world’s best audio engineers. The Solid State Logic SL 4000 G Series is the world’s most successful studio production console. Its reputation is built upon SSL’s design excellence, advanced electronic engineering and a sound quality that has produced hundreds of best selling recordings.